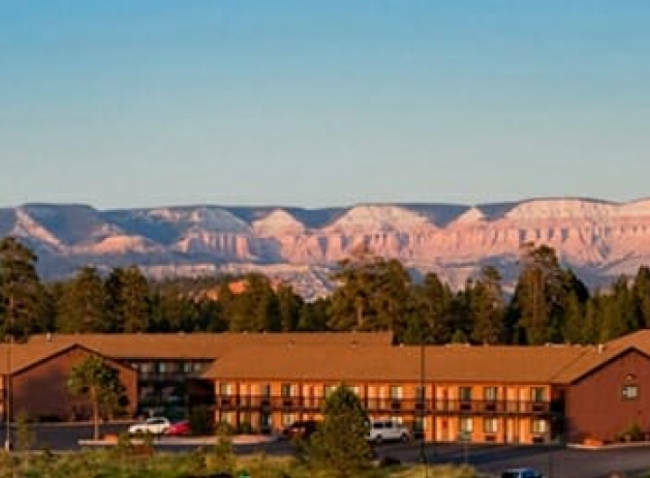 The Bryce View Lodge is nestled in the historic Ruby's Inn compound and is the perfect place for your Bryce Canyon National Park vacation and has all the amenities you’re looking for. 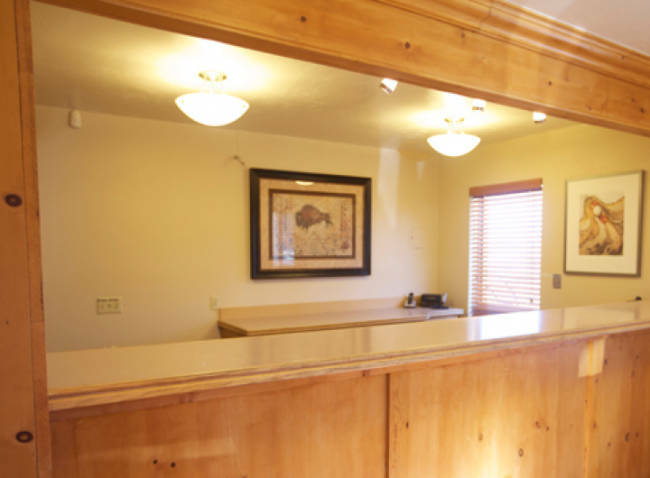 Near the entrance to the park, the lodge offers a convenient stay whether it’s for a couple days or longer. 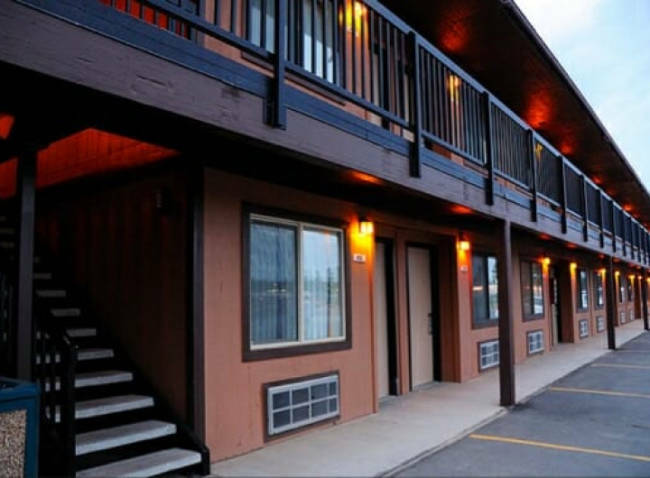 Bryce View Lodge offers two different options for rooms, so whether you want some privacy or have the family together you can choose either a room with a king bed or a room with two queens. 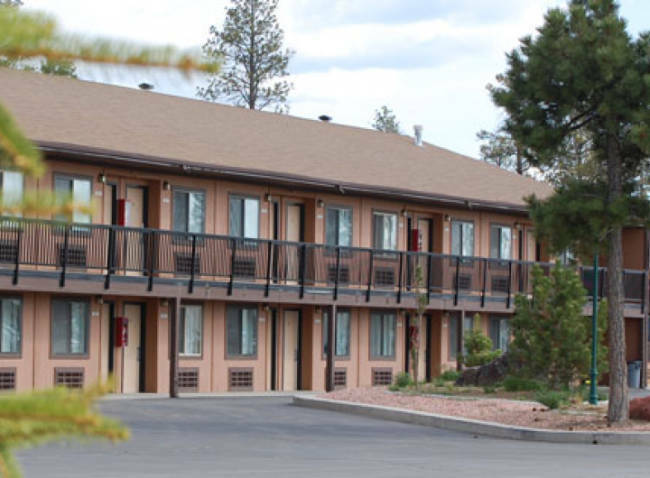 The spacious and comfortable rooms all have air conditioning, cable TV, and wireless internet. The rooms are also non-smoking and pet-friendly. 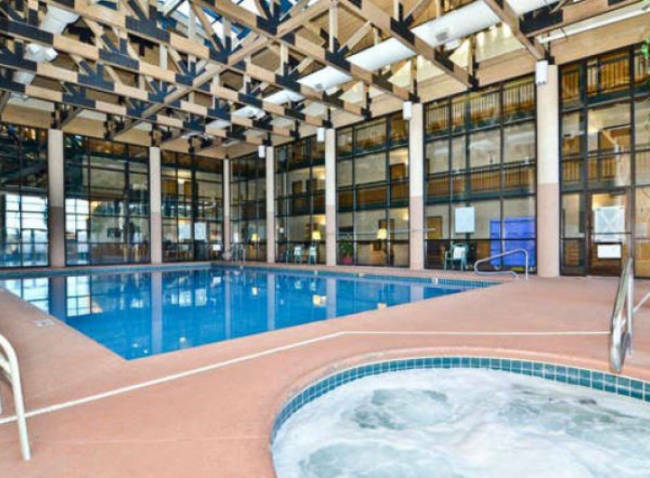 Just a short walk away is the indoor and outdoor pools, which are great for cooling off after a long hike. Or you can relax in one of the hot tubs after a long day exploring Bryce Canyon National Park. During your stay, you will have access to a number of restaurants like Cowboy’s Buffet & Steakroom or Ebenezer’s Barn & Grill. 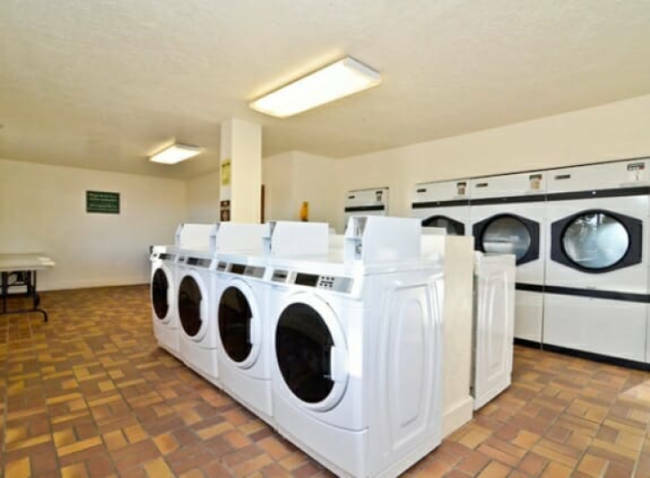 You will also have access to shopping, a general store, and laundromat. Also nearby are many small-town amenities including a gas station and car rental location and a post office. Bryce View Lodge also offers a great location for other attractions outside of the park, including horseback rides, the rodeo and guided ATV tours. The lodge also has a FREE airport shuttle service and a business center. So if you’re looking for a great place for your next company retreat, the Bryce View Lodge might be a great option. 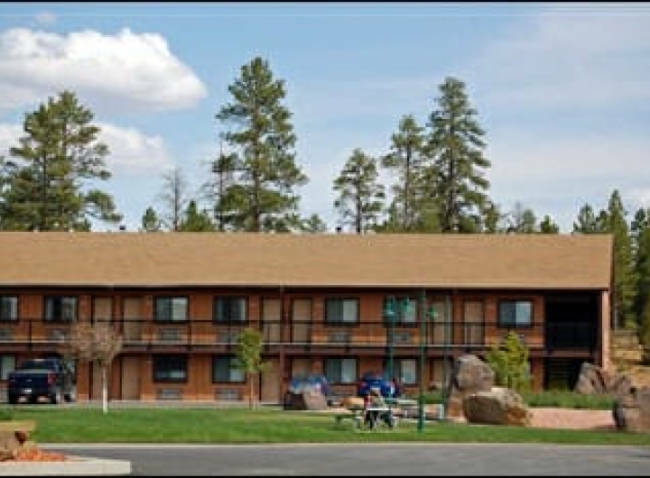 One of the best reasons for picking Bryce View Lodge for your stay in the park is the convenience of the FREE shuttles. You'll be able to get around Bryce Canyon National Park easily as the shuttles leave right from your door letting you explore the park and leave your car behind. These spacious rooms featuring one king bed, coffee or tea maker, telephone, television with cable, and a private bathroom. These rooms offer two queen beds, coffee or a tea maker, telephone, television with cable, and a private bathroom. A credit card is required at the time of booking to guarantee the reservation. Cancellations accepted by 4:00 pm day of arrival without penalty. Cancellations made after 4:00 PM will forfeit the amount of the first night's room rent plus tax. Up to 2 dogs are allowed per room. Additional pet types (cats, birds, etc) may be accepted at the hotel's discretion. Pet rate is $30 per day with a $100 per week maximum. Please inform the front desk clerk of any pets at check-in. Rates Policy: Rates are based on double occupancy. Each additional guest is an additional $15.00 per night.